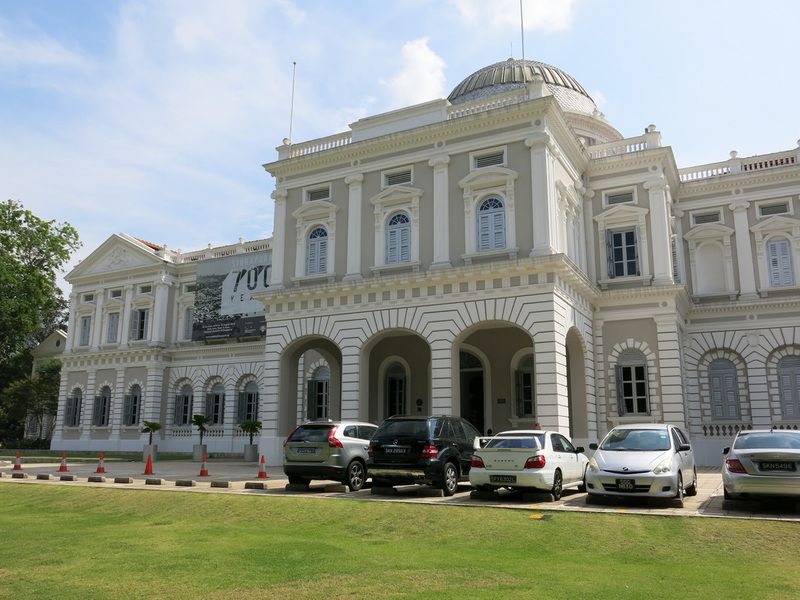 I'm a huge fan of British colonial era sites and given the British's long presence in Singapore one may think the city's historical, administrative core would be overflowing with treasures. 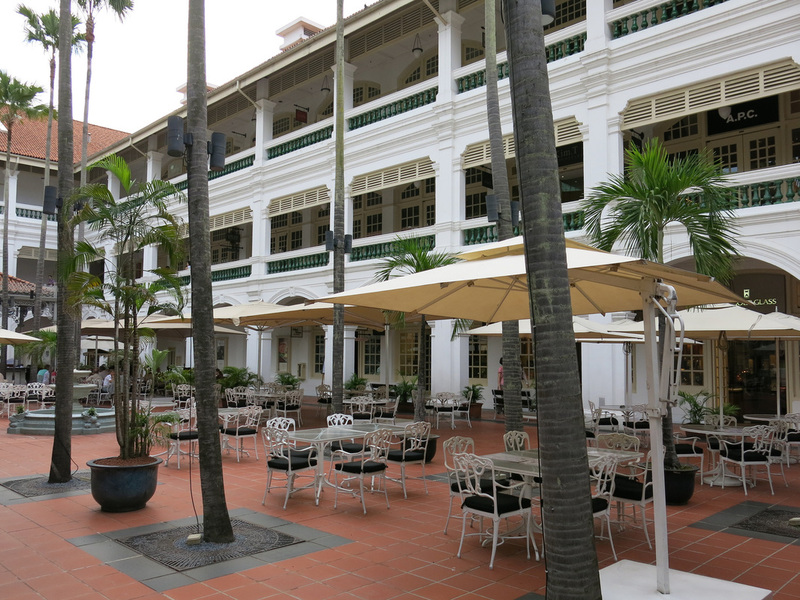 That's not quite the case and most of the buildings in this area have been refurbished including the infamous Long Bar at the Raffles Hotel. That doesn't mean this area should be skipped but rather it's more of a point and click camera stop than a deeper exploration. 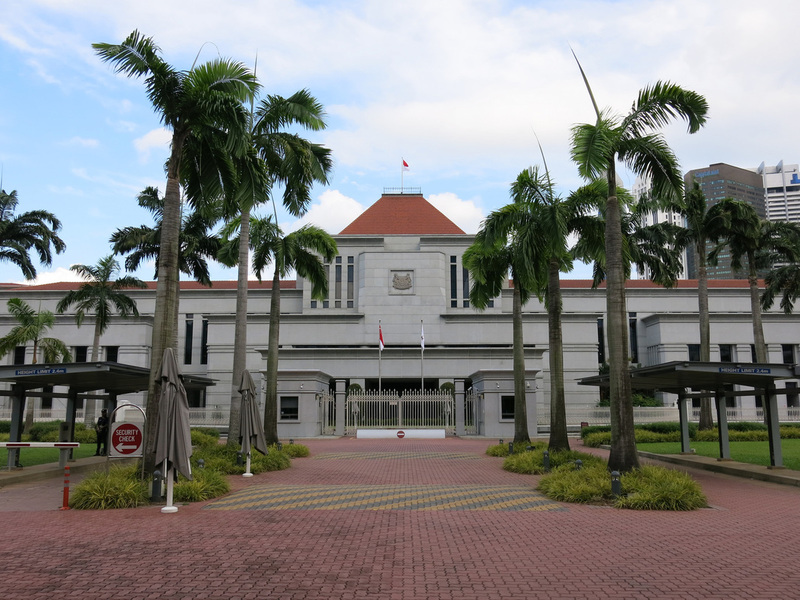 All of the former and current administrative buildings are near one another and walks starting from either the Clarke Quay, City Hall, or Esplanade SMRT Stations and ending at another will cover the main area. 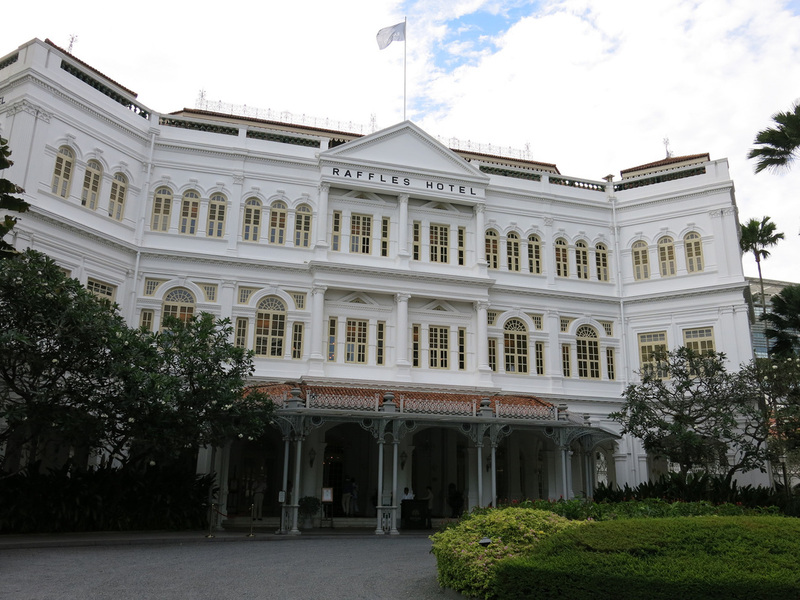 Starting at the Raffles Hotel and heading West the sites can be covered in less than two hours. 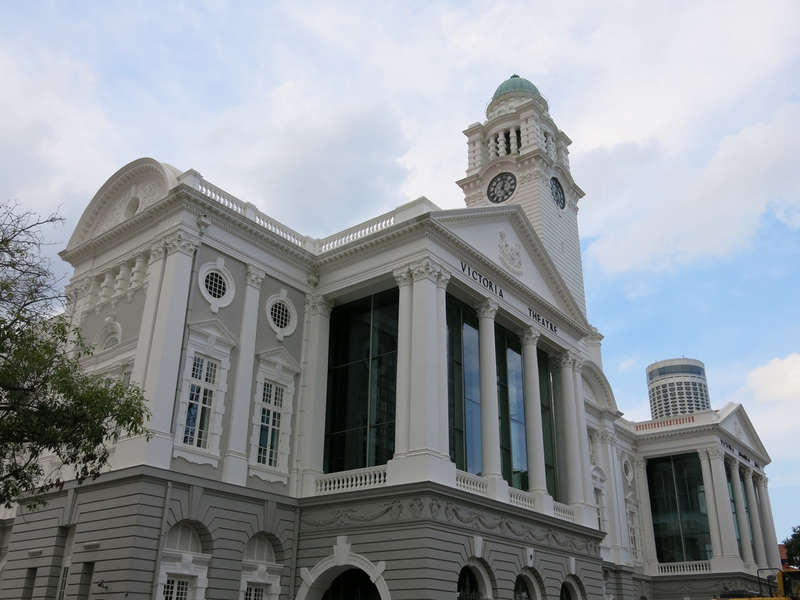 After here it's easy to head over to either Clarke or Boat Quay. 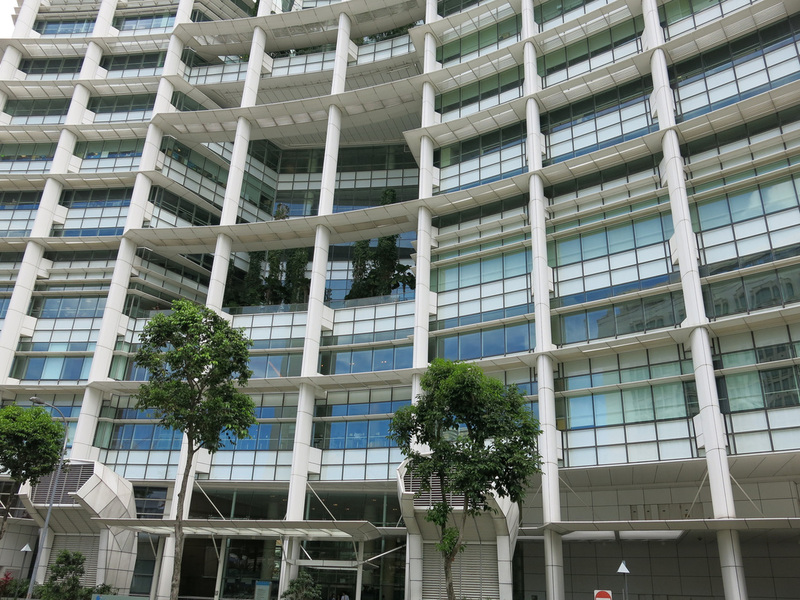 The Colonial District occupies prime space along the Singapore River and is conveniently (and I'm sure not coincidentally) located between Chinatown and the Little India and Kampong Glam enclaves. Dining and nightlife options tend to be somewhat limited, especially compared to what's nearby. More iconic than even the Marina Bay Sands, this is a landmark hotel not just in Singapore or SE Asia but also around the world. 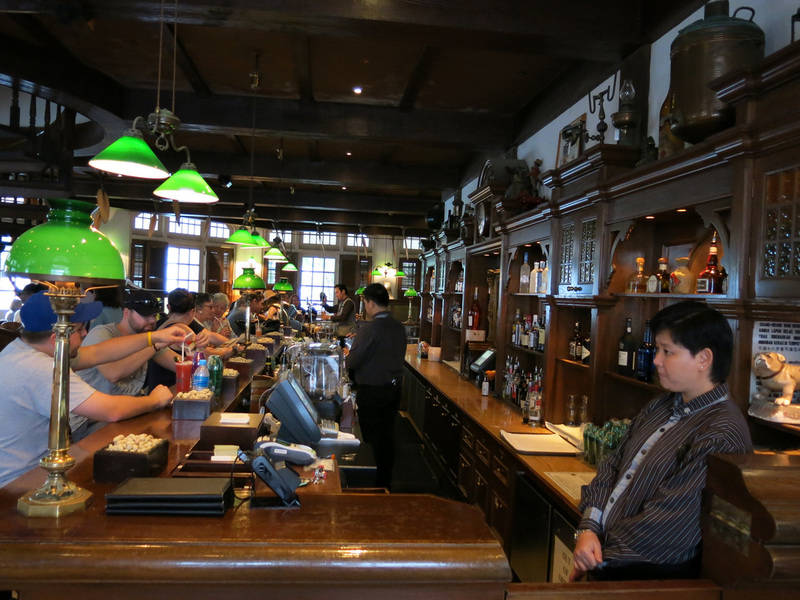 Ordering a Singapore Sling at the Long Bar isn't worth it (too expensive - $26 SGD in a remodeled bar) but the hotel definitely remains worth passing through and visiting for the history and architecture. The hotel takes up an entire block and the "front" of the building is on beach road. 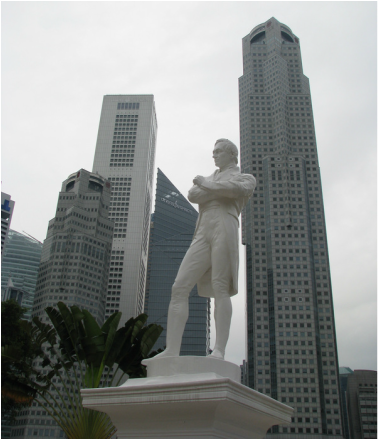 For all the past grandeur of surrounding buildings it's the Raffles Statue (above) that stands out. The remaining buildings look impressive from far away; up close its evident they've been remodeled in the past twenty years - the constant construction is a bit of a giveaway too. Viewable from North Bridge Street this may be the most boring government legislature building in the world although I applaud the practical side as the fact it's nothing fancy shows that government lawmakers did not spend extravagantly on their place of work. The plain granite building has a few windows and not much else. 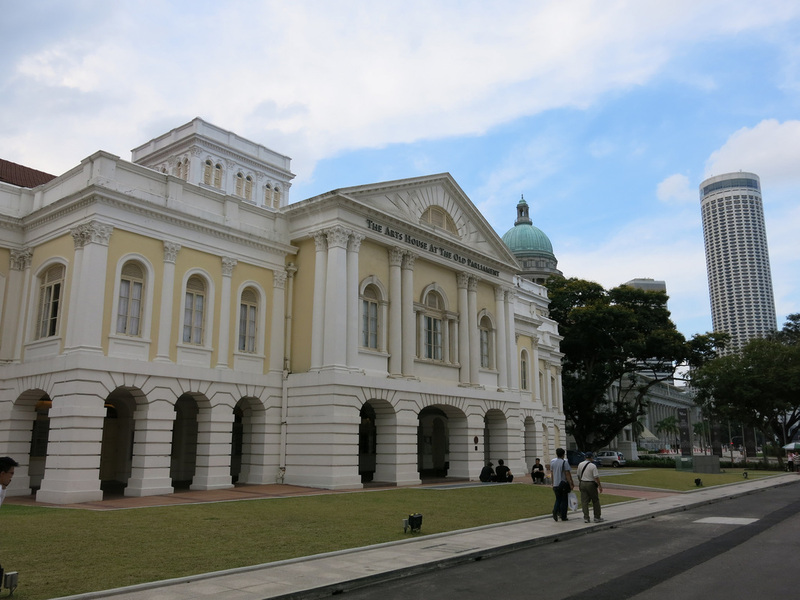 A very impressive building on the outside (modern and open), the library is limited to a few floors in the basement. The upper floors contain a drama center and reference library departments. In the courtyard outside the library is hanis cafe. It's a good use of public space to enjoy a coffee outside. 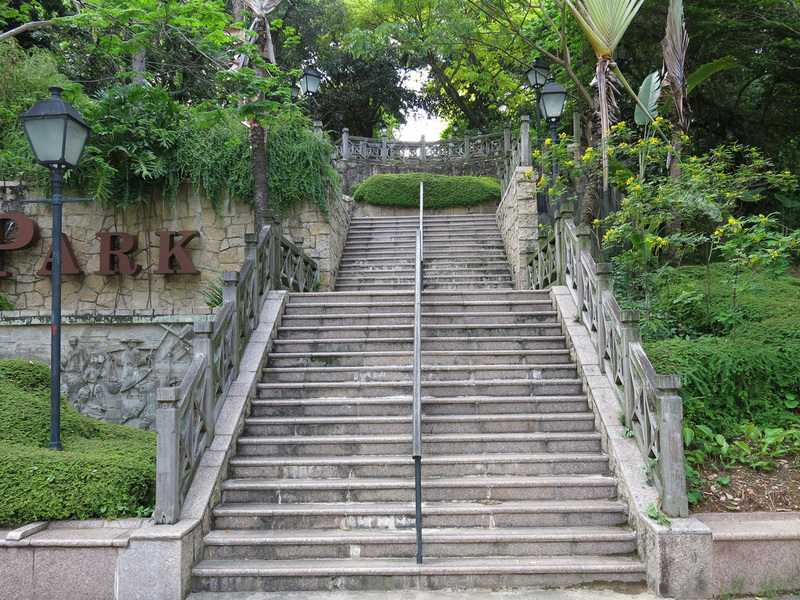 I've passed the steps to this park many times and always dreaded the potential climb. I finally climbed early one evening (you'd be crazy to visit during the afternoon) to find a quiet and pleasant park. Lots of shade and pathways. Beyond the entrance gate, a cannon, and a section of wall nothing else of the Fort remains. 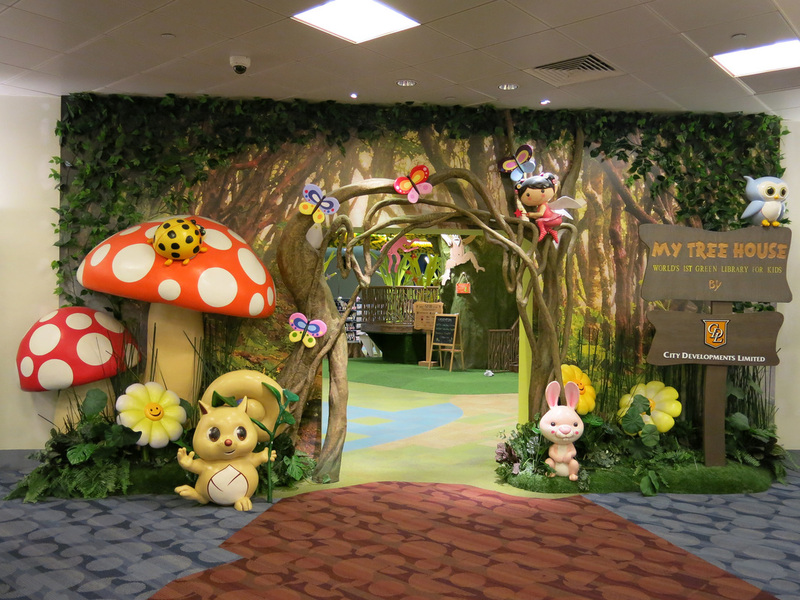 Some of the exhibits are under construction and updating for Singapore's 50th Anniversary in September 2015. 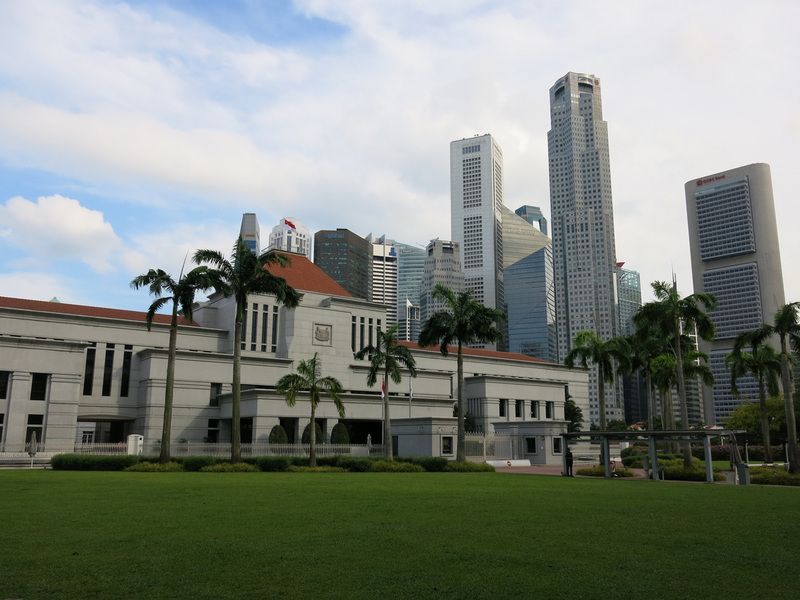 The current main exhibit does not provide a lot of details on Singapore's recent history although a section commemorating Lee Kuan Yew provides more details on key dates and activities post independence. 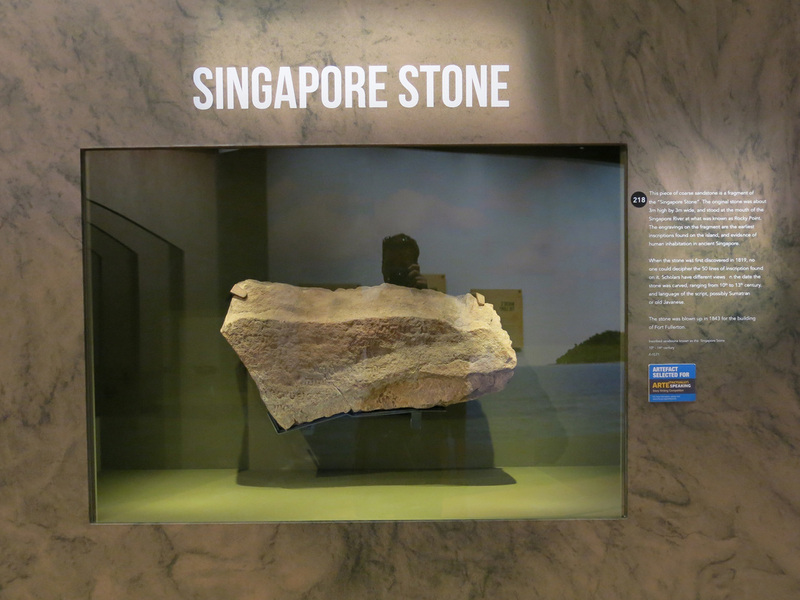 Ethnicity of Singaporeans: During (and post) the British Colonial period, Singapore received a high volume of Chinese migrant workers - these workers should not be confused with the Peranakans, Chinese traders who arrived much earlier, in the 15th Century. The Peranakans came for trade, married local, and stayed. 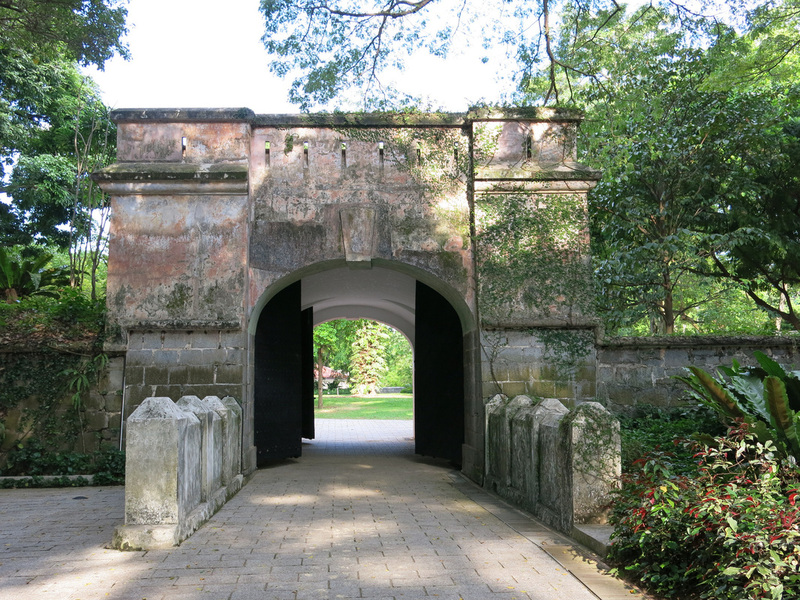 The later migrants tended to be Hokkien, arriving from the Southeast coast of China, around Fujian. Hokkiens are a different cultural group, with a different cuisine, etc. than those in Hong Kong who mostly arrived from Guangdong in Southern China. Regardless, of where the Chinese arrived from many have "lost" most of their culture - it's noticeable compared to how well the Chinese culture has been retained in Hong Kong. Many Chinese converted to Christianity and while it's common to see local shrines, neighborhood temples are nowhere near the same scale and frequency as Hong Kong. Most of the Indians arrived as convicts and were put to work building the city's initial infrastructure, a role they seem to continue to perform today. Tamil Muslims, from the Southeast Coast of India and Sri Lanka also arrived as laborers.